There is no person who better exemplifies the values of Elijah’s Board of World Religious Leaders than His Holiness, the Dalai Lama who recently announced his retirement from political life, after having progressively distanced himself from direct political leadership. He has expressed a desire to live as a simple monk. The Dalai Lama, who is revered by his followers as the 14th reincarnation of the Buddha Avalokiteshvara who achieved spiritual enlightenment, said many of his supporters had asked him not to take the step. On the occasion of his formal retirement from his political duties, Elijah would like to dedicate this edition of Sharing Wisdom to His Holiness’s wisdom on interreligious dialogue as shared in his recent book, Toward a True Kinship of Faiths: How the World’s Religions Can Come Together, NY, Doubleday, 2010. Alon Goshen-Gottstein’s review of the book is followed by reflections from Sikh ,Buddhist and Jewish members of the Elijah Board and Think Tank. We hope you will enjoy this issue and would welcome further reviews of the book or comments on the reviews included here from readers of this newsletter. 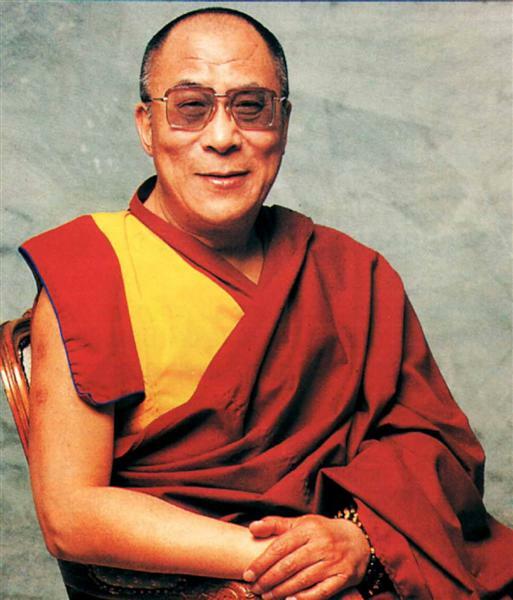 Please send your correspondence to admin@elijah-interfaith.org with the subject-line ‘The Wisdom of the Dalai Lama’. The Dalai Lama is, after the Pope, the world’s best known world religious leader. While himself a leader of only one school of Buddhism and, until recently head of a state in exile, his reach has become global. In his book, Toward a True Kinship of Faiths: How the World’s Religions Can Come Together, recording the Dalai Lama’s journey into other religions and the theories he has developed as a consequence of this journey, the Dalai Lama emerges as a global religious leader, setting an example and offering a path and a theory that is meant for all of humanity’s religious practitioners. Being in exile forces the Dalai Lama into an encounter with other religions. This encounter provides the opportunity for a lifelong process of learning. Exile has allowed him to redefine his role as a religious leader and, by means of encounter with other religions, to develop a teaching that is global in reach. Early on in the book, the reader is exposed to the Dalai Lama’s self understanding of his task as a religious leader, summarised in three points as – a) the promotion of basic human values, especially compassion; b) the promotion of interreligious understanding and harmony; and c) the pursuit of a happy and satisfactory solution to the sad crisis of Tibet and its people. One notes that the traditional and inherited task of the Dalai Lama is listed third, while other, more universal, concerns, undertaken by him voluntarily, are listed earlier. In all of this, the Dalai Lama does not even define himself as a religious leader, responsible for the propagation of teachings of the Vajrayana school of Buddhism. The Dalai Lama identifies himself more as religious person, thinker, practitioner and monk than as a religious leader, even though he does not shun his official leadership role. But rather than define his role as religious leader in traditional terms, he has redefined it, to include broader teachings, aimed at all of humanity. The first lesson that can be learned from a close reading of how the Dalai Lama describes his various encounters with other religious leaders is that the Dalai Lama does not meet ideas, institutions or even leaders. He meets people, with whom he forms friendships, who impress and inspire him, and who provide him with the living testimonies of the power of faith in their lives, the power in light of which his recognitions and theories are formulated. Interreligious friendship is the foundation of the Dalai Lama’s journey. The Dalai Lama is always appreciative of his various meetings and prepared to learn something meaningful from the representative of another religion. However, some people touch his heart, and those seem to provide the true foundation for his reflections. Not surprisingly, the people that touch him most are the practitioners whose lives and teachings offer testimony to the depth of the power of spirit in their lives. Again, not surprisingly, the figures that seem to touch him in the deepest way are those that have an openness to the spirit that extends beyond the boundaries of their own religion. Thomas Merton is the first and formative relationship that defines what the Dalai Lama finds most significant in relations with practitioners of other religions. 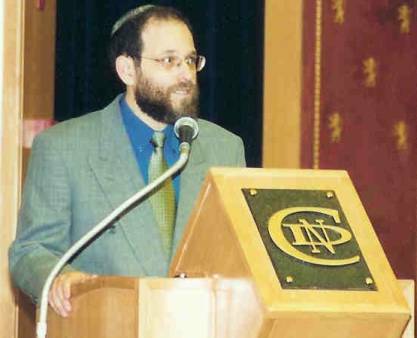 Rabbi Zalman Schachter, stands out as the most prominent Jewish leader, in many ways a spiritual brother to the Dalai Lama: a practitioner with broad intellectual interest, keen spiritual senses and an existential openness to other religious traditions. The Dalai Lama acknowledges that his deepest friendships have been with Christians. While he considers this to be a consequence of his early encounters with Merton, it may be that Christianity produces more men and women of faith, who like the Dalai Lama, seek to deepen their own faith experience through an engagement of other faiths. In highlighting some religions rather than others the Dalai Lama gives us further testimony to the foundational principle of his journey: A true encounter with other religions is made possible through personal friendships and the meeting of heart, mind and spirit they produce. The Dalai Lama admits that he has had little opportunity to interact with Muslims. He knows of Islam from the native Tibetan Muslim community, from books, and recently from visits to Jordan and Malaysia. But it is clear that his engagement with Islam lacks the same basis of personal depth and engagement that characterizes his relations with other religions. His speaking out on behalf of Islam as a non violent religion is consequently all the more meaningful, as it is a principled assessment, and not one colored by personal relationships. The Dalai Lama encounters, reads and interprets Christianity, Judaism and Islam in a strikingly original way, born of his personal encounter and process, and his readings are noteworthy. When the Dalai Lama encounters Christianity he sees the supreme act of sacrifice of Jesus on the cross, taking on himself the suffering of others, in a way similar to the Dalai Lama’s own daily practice. He also notes another great symbol of compassion, the image of Mary holding the baby Jesus, pointing to how motherhood provides the ground for compassion. Similarly, when he reflects on the meaning of what it is for Judaism to be a chosen people, taking his cue from the (non-Jewish) scholar of religion Huston Smith, he reads it in terms of the suffering servant of Isaiah 53, leading him to see in Judaism ‘an ideal community of selfless bodhisattvas working for the good of all beings’. His reading of Islam is even more principled: As Islam is a religion of absolute submission to God, and as God is understood as compassionate and merciful, true Islam must be understood as ‘absolute submission to the ideal of universal compassion’. Based on this reading, he launches a defense of Islam as a non-violent religion, proclaiming the violence committed in the horrific crimes of 9/11 as ‘the deeds of a handful of mischievous Muslims’ who are not representative of true Islam. The Dalai Lama offers a reading of other traditions in which he finds what he considers to be the highest values in his own worldview – compassion. In doing so, the Dalai Lama presents for our consideration the hermeneutics of interreligious understanding. Within each tradition there are multiple presentations or, using the language of internal discourse, ‘theologies’. Each theology is an attempt to describe the religion, making fundamental choices concerning what is really important about a given religion and how it should be portrayed. The Dalai Lama’s reflections challenge us to consider what kind of constructive theology can be undertaken through the encounter with another faith tradition. One may argue that the outsider will corrupt the understanding of the religion, but one may equally argue that it is precisely the outsider who is able to offer a fresh composite reading of the religion, in light of the categories that govern his or her own native religious understanding. The Dalai Lama has in fact launched a new theological modality, of interreligious hermeneutics or even of interreligious theology. The Dalai Lama brings to the theology of religions the principles of a positive appreciation of another religion through attempting to find what is best in it and how it best serves its practitioners. Not once does the Dalai Lama criticize another religion. Not once does he argue with it. Rather than ask whether the teachings of a religion are true, the Dalai Lama seeks to identify the benefits that the teaching and practices have in the lives of believers. A declared non theist, the Dalai Lama appreciates time and again the value of faith in God, not in theological terms but in terms of the benefits of such faith for the believers. The depth of religious empathy as practiced by the Dalai Lama cuts across the most basic theological divides. His empathetic approach, true to the philosophical tendencies of recent decades, highlights the effects of religious beliefs on the lives of people, rather than worrying whether individual beliefs are true in and of themselves. His appreciative inquiry seeks to establish how a given faith works in the lives of believers and what benefits it brings to them. The book constantly returns to the theme of mystical experience as possible common ground between the religions. In part this is a consequence of the many sessions of Buddhist-Christian dialogue in which he has participated, particularly those arranged by practitioners with a contemplative focus. But the point seems to go deeper. When engaging Judaism he actively seeks out the wisdom of the Kabbalah and Judaism’s mystical experience. He turns to Rumi as the prime example of Muslim mystical experience. While the book’s official thesis is that compassion is the common ground between religions, there is a second thesis that emerges from it: that the mystics of different religions share significant common ground. His interest in the questions of mysticism once again point to what is most important for him in the spiritual life and in his own self identity, the identity of a Buddhist monk who cultivates a powerful interior life based on the resources of his tradition. The Dalai Lama does more than describe his interreligious itinerary as moving from the level of personal encounter to engaging the theology and understanding of other religions. The sum total of his encounters and recognitions amounts to a theory and the latter part of the book is devoted to broader theoretical considerations. Two main theses emerge. The first concerns compassion. The Dalai Lama goes beyond offering readings of specific religions or key moments and concepts within them as expressions of compassion. He develops a theory according to which the cultivation of compassion – therein included love, altruism etc. – is the common purpose of all religions. Compassion is thus the common ground of all religions, that seek to take the individual beyond his ego centered self, and to transform him or her in fundamental ways. Our religions seek to take us beyond ourselves, and to develop a self transcendence that would allow us to cultivate universal compassion, that extends beyond the interests of the self, culminating in the love of the enemy. His discussion of the stages of compassion and spiritual transformation as universals that apply to all religions is a major contribution to the comparative study of religion and certainly advance our understanding significantly beyond common perceptions that are limited to fundamental common moral teachings. The second theoretical discussion is the discussion of the problem of exclusivity. How one religion views other religions comprises the discipline of ‘theology of religions’, and the Dalai Lama’s discussion constitutes an important contribution to the field. At its heart is the attempt to reconcile how one may hold on to faith as something exclusive, maintaining the truth claims of the individual religion, while at the same time espousing an attitude of respect to other religions. The Dalai Lama is aware of the fact that for a journey such as his to have broader meaning, one needs to ground the various experiences, dialogues and reflections within a theoretical framework, within which to tackle the problem of religious exclusivism. He is able to apply a classical distinction of Buddhist hermeneutics to the broader situation. Conflicting teachings of the Buddha are reconciled by recognizing that the Buddha taught according to the needs of a given context and its potential for efficacy. Teaching is contextual. This, argues the Dalai Lama, is as true for Buddhism as it is for religion in general. Every religion is suited to the psychological, national and other conditions that are specific to its adherents. Diversity in religion corresponds to the diversity of human character and the need for teaching. Multiple ways can be upheld because ethical teachings are universal. Doctrines, metaphysics and the view of the afterlife do indeed vary from religion to religion. In relation to these variations, the Dalai Lama counsels that adherent of every faith hold with absolute fidelity onto their own unique metaphysical vision. The Dalai Lama’s threefold division of religion into ethics, doctrines and cultural specifics provides a convenient framework for an attempt to reconcile absolute and exclusive faith with respectful acceptance of others. He speaks not only of ‘respect’ but of deep reverence towards other faiths for what they produce. In modeling an attitude of deep reverence he has captured the essence of his own journey to other religions. Reverence is the kind of respect afforded from the depth of a spiritual sense of reality, within which another religion can be validated for the positive fruit it bears in the lives of its followers. What makes the Dalai Lama’s case so powerful and credible is that it is grounded in a personal journey at the one end and leads to a broad theory of religion at the other. We can follow the experiences, the readings, the hermeneutical moves, the overall attitude and finally – how the theory has been born. It is this totality of vision that calls us not only to follow its conclusions but to follow the entire course set out by the Dalai Lama. He has presented a path and offered a model. 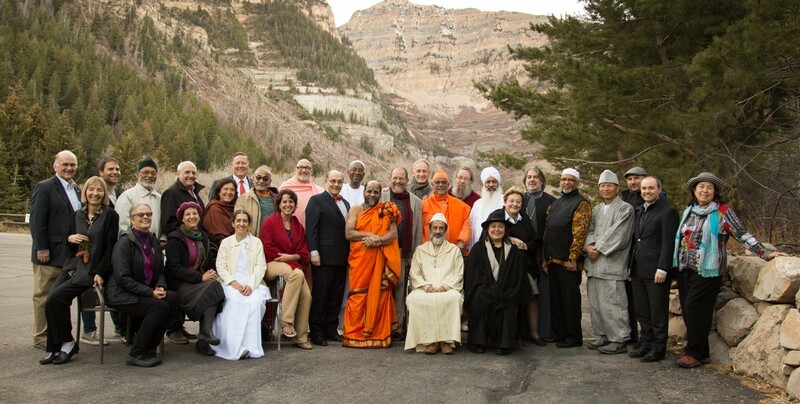 There is not a single other world religious leader who has undertaken such an extensive and thorough journey within world religions, who has approached them with such openness, and who has attempted to integrate his personal experiences into a comprehensive theory of interreligious relations. There is probably no other religious leader who considers interreligious activities as centrally as part of his job description as does the Dalai Lama. And few, if any, have attempted to make the native spiritual understanding of their tradition a foundation for broader understanding and exchanges that could be relevant to all religions. By virtue of the path set out in this book, the Dalai Lama redefines what it is to be a truly global religious leader, perhaps in ways that are unique to him. But this uniqueness is an invitation for others to follow, making the reach and impact of the teachings of each of our religions part of the shared message that religions have to offer to their followers and to all of humanity. It should not be unexpected that the core themes and values that the Dalai Lama has espoused in this book are deeply resonant with religious practitioners. I am not surprised that the book chronicles his encounters with practitioners of other religions (often mystics) and that he comes to understand their faiths through these personal exchanges. What is absolutely clear is, that in the Dalai Lama, we have a practitioner who is firmly entrenched and ensconced within his own Buddhist tradition and that his engagements are about the resonances, the beauty and the love that are common to all religions. It is a testimony to his beliefs and his humility that his own three principal commitments or missions are, first and foremost founded on universal concerns and then only to serve his own community aimed at solving the continuing Tibetan crisis. The Dalai Lama’s account of his encounter with each practitioner, indeed his journey through the world’s religions as a mere monk is as much about his own understanding of Buddhism and its nuances and complexities as it is about keeping company with those who have attained an exalted status that he can readily identify. That, they are virtually mirror images of himself in other traditions does not surprise me at all. Religious practitioners always seek out kindred spirits and they do not choose to be religious leaders – that mantle is often thrust upon them through a ‘calling’. In each encounter, each meeting, each engagement with members of another religion the Dalai Lama sees an opportunity to learn from the other. This is a quality that is very close to the heart of a Sikh because by definition he or she has a lifelong ambition to learn. Because the Dalai Lama’s primary purpose is not to pursue an academic study of comparative religions, his engagements are necessarily personal and his interpretation and interpolation of other religions’ core values is a product of such encounters. This goads one to practice rather than merely theorise such core values. For someone that has endured such pain and suffering, not only at a personal level through the condition of exile, but also that of his people, there is little wonder that the founding principle of his engagements is compassion. Again, I share this passion for compassion as it is the founding principle of all Dharams but one that is particularly resonant for me as a Sikh. However, compassion by itself is not enough. It must be mobilised and the best way to do that is to invoke forgiveness. For when one forgives – even God is compelled to be part of the act. Forgiveness is like the purest gift – where one gives without any expectation of return. 4. Joint pilgrimages to the world’s holy places. There is little doubt that the world has become increasingly close, we now live in a global village. However, the costs of such proximity are that our problems and challenges are truly global and vast. The world’s religions are our collective repository of all that is good; provided that these are rightly interpreted and acted upon, and not misused. These resources must be marshalled to ensure that we live together, not simply to co-exist peacefully but to ensure that we leave the planet in better shape than when we inherited it. To this end, the Dalai Lama’s program for the promotion of inter-religious harmony and understanding is an absolute necessity which must be brought into action with great rapidity. ‘The Dalai Lama recommends that we encounter religions other than our own with reverence and that we see them as grounded on the principle of compassion’. In his introduction to the book, H.H the Dalai Lama explains the urgency of why such an attitude is needed: “The line between exclusivism – which takes one`s own religion to be the only legitimate faith – and fundamentalism is a dangerously narrow one; the line between fundamentalism and extremism is even narrower. The time has come for every individual adherent of a major world religion to ask: ‘What, in my heart of hearts, is my attitude to the followers of other faiths?’ “ Seen from this context, the attitude towards other religions and their adherents is not merely an academic question, but ultimately a question of life or death – of giving life to the other or depriving them of it – of flourishing or perishing together. The Dalai Lama also acknowledges that those who defend the truth of their own religions are concerned with the relativizing of religious truth, a tendency found in some pluralistic views of religion. What he proposes is a reconciliation of “One Truth, one Religion” with “Many Truths, many Religions,” a middle way that avoids relativism on the one hand and fundamentalism on the other. As Alon points out, the Dalai Lama`s division of religion into ethics, doctrines and cultural specifics provides a theoretical framework for this reconciliation, embodied by the Dalai Lama’s own personal attitude of deep reverence towards the other religions. One of the challenges for readers of the book and all involved in interreligious dialogue is conciliation between the positions of theistic and non-theistic religions. Can an understanding of God as the All Compassionate One, conveyed as central, though each in their own ways, to Judaism, Christianity, and Islam, provide an ontological basis for the Dalai Lama’s key thesis about Compassion as the unifying factor that can bring the religions together? This is one of the many hopeful and though-provoking contributions that this powerful book provides. Our colleague, Alon Goshen-Gottstein’s review of His Holiness the Dalai Lama’s book understates a significant level of the Dalai Lama’s effectiveness as a world religious leader, and that is his ability to communicate his passion, compassion, and empathy to populations widely dispersed throughout the world. However profound and transcendent his teachings, if they are too abstract or obscure for the world’s seekers, he would not have achieved the impact and influence he has. As a devotee of social networking, I can attest that any posting by the Dalai Lama on Facebook has thousands of “likes” within a few minutes. A trained theologian or historian of religion might well be able to deconstruct his postings and fully appreciate them as Goshen-Gottstein does, but for most, that level of sophistication is not necessary to be moved by and to embrace his teachings. The rarity of the Dalai Lama’s leadership, to my mind, is in this uncommon ability to touch so many people in so many ways and on so many levels. In this, he demonstrates what may indeed be the first example of effective and potentially transformative religious leadership in our new era of global, instantaneous, and unmediated communication. If others of us, charged with religious leadership on local or international levels, could learn some of this communication brilliance built on the Dalai Lama’s exemplary pluralist model, religious teaching could become a force for forging truly global amity and understanding. As we look to holding the next meeting of the Elijah Board of World Religious Leaders, we turn to you for support for our work. Changes in funding opportunities make this appeal necessary and we are grateful for your support. If you wish to become a sponsor for the event, and to attend it in person, kindly contact us. If you are only able to make a small gift, please use the button below. Thank you.